One of the countries that I wanted to visit is South Korea. Ever since I became addicted to Korean drama series, I became a fan of their country also. No doubt their drama series are the best and the different places feature in every show is a must to see. I know visiting Korean country is not easy because it requires visa especially if you are from the Philippines. I hope one day. Why I wanted to go to this country? I want to experience the different places I have seen in the drama series I already watched. 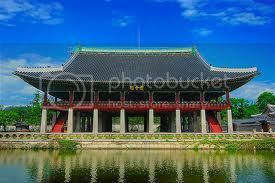 I want to see the palaces in Seoul, museums and simply experience their culture. I remember Boys over Flowers starring Lee Min Ho; one of the scenes here happened in Jeju Island (I hope my memory is right). The place is really captivating. Aside from that I want to experience Korea’s weather especially the winter. Their foods like kimchi, it is a traditional fermented dish made of vegetables with a variety of seasonings and sometimes spicy or sour. I want to experience outdoor market like the one in Busan which has large number of stalls. In Busan, beaches are located in this place and said to be the summer capital of Korea because of their wonderful beaches. Living the life of a monk, the latter featured in some of the Korean series I watched. I want to experience this thing their lifestyle like getting up early for early morning prayers and eating simply vegetable dishes. Lastly, soju is always present in Korean dramas, I don’t drink but of course I want to experience this popular liquor of Korea. I think I already mentioned why I love this country. I just wish that one day, I will experience everything I said and see the real beauty of South Korea.